The Spanish tenor-turned-baritone stars in the inaugural concert - an event which sold out in under three hours. 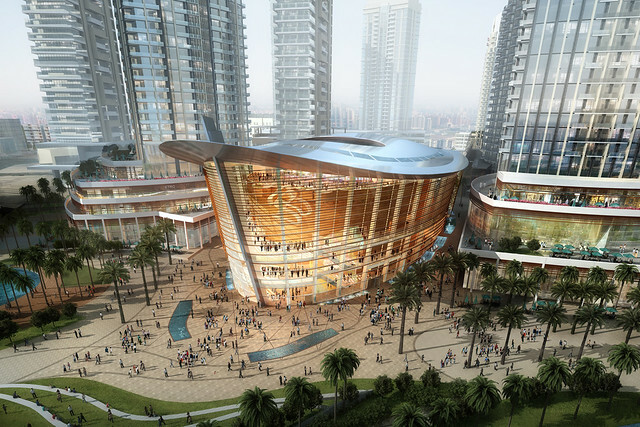 Dubai Opera, which seats over 2,000 people, is the landmark of a new cultural hot spot for the United Arab Emirates (UAE). The building is positioned as the centre point of Dubai's new 'Opera District' – a bespoke area of the city created to ensure art is at the heart of the life of the city. Dubai is the latest city to invest significantly in a cultural centre, putting the city on the map as one of a handful of destinations for the world's greatest singers to visit. In demand opera singers' careers span several countries, with the high profile performers who frequent the Royal Opera House stage being booked years in advance for similarly prestigious opera houses across the world, including the Metropolitan Opera in New York, La Scala, Milan; and the Paris Opera. Now, Dubai Opera’s chief executive Jasper Hope, who was once the Chief Operating Officer at London’s Royal Albert Hall, hopes that the new Dubai Opera will allow the city to attract the world's greatest talent, putting it on the map away from the art form's traditional home in Europe. ‘One of the areas that has been missing for many people is a venue in which to experience brilliant live music,’ said Hope. As well as opera, the building will also play host to a range of performing arts including ballet and theatre, as well as fashion shows, film screenings and sporting events.